I tried to think of a number of movies about the House Committee on Un-American Activities (HUAC) and the Hollywood Blacklist I have seen. And to be honest, I can only think of two of which I have never finished and two of which I did. One of those movies I did finish was the 2015 biopic about Hollywood screenwriter, Dalton Trumbo. I have read two reviews for “TRUMBO”. Both reviewers seemed to like the movie, yet both were not completely impressed by it. I probably liked it a lot more than the two. “TRUMBO” proved to be the second movie I actually paid attention to about the Blacklist. I think it has to do with the movie’s presentation. “TRUMBO” seemed to be divided into three acts. The first act introduced the characters and Trumbo’s problems with the House Committee on Un-American Activities, leading to his being imprisoned for eleven months on charges of contempt of Congress, for his refusal to answer questions from HUAC. The second act focused on those years in which Trumbo struggled to remain employed as a writer for the low-budget King Brothers Productions, despite being blacklisted by the major studios. And the last act focused upon Trumbo’s emergence from the long shadow of the blacklist, thanks to his work on “SPARTACUS” and “EXODUS”. I have only one real complaint about “TRUMBO”. Someone once complained that the movie came off as uneven. And I must admit that the reviewer might have a point. I noticed that the film’s first act seemed to have a light tone – despite Trumbo’s clashes with Hollywood conservatives and HUAC. Even those eleven months he had spent in prison seemed to have an unusual light tone, despite the situation. But once the movie shifted toward Trumbo’s struggles trying to stay employed, despite the blacklist, the movie’s tone became somewhat bleaker. This was especially apparent in those scenes that featured the screenwriter’s clashes with his family over his self-absorbed and strident behavior towards them and his dealings with fellow (and fictional) screenwriter Arlen Hird. But once actor Kirk Douglas and director Otto Preminger expressed interest in ignoring the Blacklist and hiring Trumbo for their respective movies, the movie shifted toward a lighter, almost sugarcoated tone again. Now, there is nothing wrong with a movie shifting from one tone to another in accordance to the script. My problem with these shifts is that they struck me as rather extreme and jarring. There were moments when I found myself wondering if I was watching a movie directed by two different men. Another problem I had with “TRUMBO” centered around one particular scene that featured Hedda Hopper and MGM studio boss Louis B. Mayer. In this scene, Hopper forces Mayer to fire any of his employees who are suspected Communists, including Trumbo. The columnist did this by bringing up Mayer’s Jewish ancestry and status as an immigrant from Eastern Europe. This scene struck me as a blatant copy of one featured in the 1999 HBO movie, “RKO 281”. In that movie, Hopper’s rival, Louella Parsons (portrayed by Brenda Blethyn) utilized the same method to coerce – you guess it – Mayer (portrayed by David Suchet) to convince other studio bosses to withhold their support of the 1941 movie, “CITIZEN KANE”. Perhaps the filmmakers for “TRUMBO” felt that no one would remember the HBO film. I did. Watching that scene made me wonder if I had just witnessed a case of plagiarism. And I felt rather disappointed. Despite these jarring shifts in tone, I still ended up enjoying “TRUMBO” very much. Instead of making an attempt to cover Dalton Trumbo’s life from childhood to death, the movie focused upon a very important part in the screenwriter’s life – the period in which his career in Hollywood suffered a major decline, due to his political beliefs. And thanks to Jay Roach’s direction and John McNamara’s screenplay, the movie did so with a straightforward narrative. 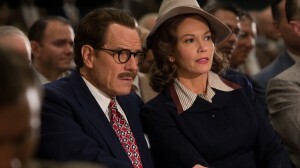 Some of the film’s critics had complained about its sympathetic portrayal of Trumbo, complaining that the movie had failed to touch upon Trumbo’s admiration of the Soviet Union. Personally, what would be the point of that? A lot of American Communists did the same, rather naively and stupidly in my opinion. But considering that this movie mainly focused upon Trumbo’s experiences as a blacklisted writer, what would have been the point? Trumbo was not professionally and politically condemned for regarding the Soviet Union as the epitome of Communism at work. He was blacklisted for failing to cooperate with the House Committee on Un-American Activities. Also, the movie did not completely whitewash Trumbo. McNamara’s screenplay did not hesitate to condemn how Trumbo’s obsession with continuing his profession as a screenwriter had a negative impact upon his relationship with his family – especially his children. It also had a negative impact with his relationship with fellow screenwriter (the fictional) Arlen Hird, who wanted Trumbo to use his work for the King Brothers to express their liberal politics. Trumbo seemed more interested in staying employed and eventually ending the Blacklist. I came away with the feeling that the movie was criticizing the screenwriter for being more interested in regaining his successful Hollywood career than in maintaining his politics. “TRUMBO” also scared me. The movie scared me in a way that the 2010 movie, “THE CONSPIRATOR” did. It reminded me that I may disagree with the political or social beliefs of another individual; society’s power over individuals – whether that society came in the form of a government (national, state or local) or any kind of corporation or business industry – can be a frightening thing to behold. It can be not only frightening, but also corruptive. Watching the U.S. government ignore the constitutional rights of this country’s citizens (including Trumbo) via the House Committee on Un-American Activities scared the hell out of me. Watching HUAC coerce and frighten actor Edward G. Robinson into exposing people that he knew as Communists scared me. What frightened me the most is that it can happen again. Especially when I consider how increasingly rigid the world’s political climate has become. I cannot talk about “TRUMBO” without focusing on the performances. Bryan Cranston earned a slew of acting nominations for his portrayal of Dalton Trumbo. I have heard that the screenwriter was known for being a very colorful personality. What is great about Cranston’s performance is that he captured this trait of Trumbo’s without resorting to hammy acting. Actually, I could say the same about the rest of the cast. 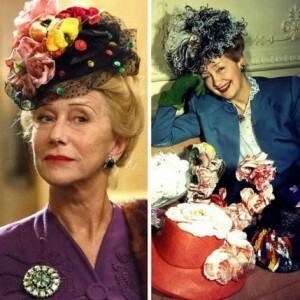 Helen Mirren portrayed the movie’s villain, Hollywood columnist Hedda Hopper with a charm and charisma that I personally found both subtle and very scary. 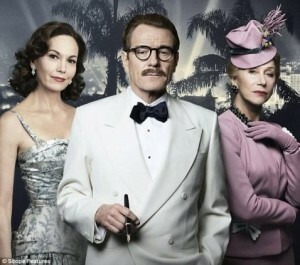 Diane Lane gave a subtle and very convincing performance as Trumbo’s wife Cleo, who not only stood by her husband throughout his travails, but also proved to be strong-willed when his self-absorption threatened to upset the family dynamics. Louis C.K., the comic actor gave a poignant and emotional performance as the fictional and tragic screenwriter, Arden Hird. 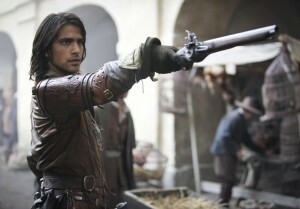 Other memorable performances caught my attention as well. Elle Fanning did an excellent job portraying Trumbo’s politically passionate daughter, who grew to occasionally resent her father’s pre-occupation with maintaining his career. Michael Stuhlbarg did a superb job in conveying the political and emotional trap that legendary actor Edward G. Robinson found himself, thanks to HUAC. Both John Goodman and Adewale Akinnuoye-Agbaje gave colorful and entertaining performances as studio head Frank King and Trumbo’s fellow convict Virgil Brooks, respectively. Stephen Root was equally effective as the cautious and occasionally paranoid studio boss, Hymie King. Roger Bart gave an excellent performance as fictional Hollywood producer Buddy Ross, a venal personality who seemed to lack Robinson’s sense of guilt for turning his back on the blacklisted Trumbo and other writers. David James Elliot gave a very interesting performance as Hollywood icon John Wayne, conveying the actor’s fervent anti-Communist beliefs and willingness to protect Robinson from Hedda Hopper’s continuing hostility toward the latter. And in their different ways, both Dean O’Gorman and Christian Berkel gave very entertaining performances as the two men interested in employing Trumbo by the end of the 1950s – Kirk Douglas and Otto Preminger. I noticed that “TRUMBO” managed to garner only acting nominations for the 2015-2016 award season. Considering that the Academy Award tends to nominate at least 10 movies for Best Picture, I found it odd that the organization was willing to nominate the likes of “THE MARTIAN” (an unoriginal, yet entertaining feel-good movie) and “MAD MAX: FURY ROAD” (for which I honestly do not have a high regard) in that category. “TRUMBO” was not perfect. But I do not see why it was ignored for the Best Picture category, if movies like “THE MARTIAN” can be nominated. I think director Jay Roach, screenwriter John McNamara and a cast led by the always talented Bryan Cranston did an excellent job in conveying a poisonous period in both the histories of Hollywood and this country. 2. 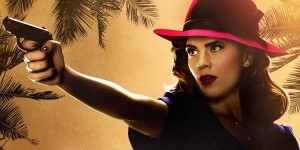 (2.07) “Monsters” – While Peggy plans a rescue mission for former Leviathan agent Dottie Underwood, who had been captured in the previous episode, Whitney Frost covers up her murder of husband Calvin Chadwick and some members of the Council of Nine, a secret organization of U.S. industrialists. 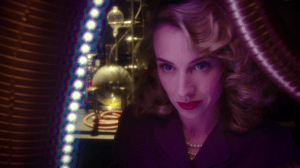 Whitney tortures Dottie into revealing why Peggy is interested in the Zero Matter and sets a trap that involves Jason Wilkes, along with Edwin and Anna Jarvis. 3. 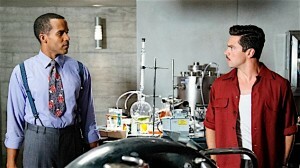 (2.05) “The Atomic Job” – Peggy and her colleagues must find a way to prevent Whitney Frost and Calvin Chadwick from stealing and using an atomic blast to test the Zero Matter. 4. 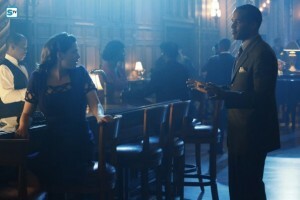 (2.03) “Better Angels” – Whitney Frost convinces hubby Calvin Chadwick to frame Jason Wilkes as a Communist spy, while Peggy’s investigation of Isodyne and the Zero Matter puts her in conflict with SSR Director Jack Thompson and War Department official Vernon Masters, who is also a member of the Council of Nine. 5. (2.06) “Life of the Party” – When Peggy realizes she cannot save Jason Wilkes on her own, she turns to former adversary Dottie Underwood for help, while Whitney Frost makes a move to control the deadly Zero Matter. During the first half of the Twentieth Century, poet and historian Carl Sandburg wrote a six-volume biography on the life of the 16th president of the United States, Abraham Lincoln. Years passed before David Wolper (“ROOTS”, “THE THORN BIRDS”, and the “NORTH AND SOUTH” TRILOGY) produced a six-part miniseries on Lincoln’s life and career, based upon Sandburg’s work. (1.03) “Prairie Lawyer” – Lincoln goes against future political adversary Stephen A. Douglas when he defends physician Dr. Henry B. Truett against murder charges in 1838. 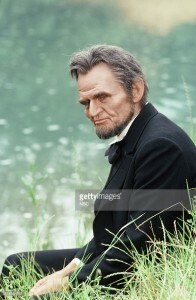 (2.02) “Crossing Fox River” – This episode covers Lincoln’s life between winning his first presidential election in November 1860 and attending his first inauguration in March 1861. (1.01) “Mrs. Lincoln’s Husband” – In the wake of the death of the Lincolns’ second son William “Willie”, First Lady Mary Todd Lincoln‘s erratic behavior embarrasses and endangers her husband politically when a cabal of Republican senators question her loyalty to the Union. (1.02) “Sad Figure, Laughing” – Secretary of the Treasury Salmon P. Chase and his daughter Kate attempt to undermine President Lincoln’s bid for re-election during the 1864 presidential campaign, when they become aware of how Lincoln’s jokes and stories seem to erode their fellow Republicans’ confidence in him. (2.01) “The Unwilling Warrior” – Lincoln finds himself forced to learn the art of war, as he searches for the right general to lead the Union Army to victory between 1861 and 1865. (2.03) “The Last Days” – Following the Army of Northern Virginia’s surrender at the Appomattox Court House, President Lincoln plans Reconstruction with his cabinet and discusses a post-presidential future with the First Lady. “LINCOLN” managed to garner a great deal of critical acclaim back in the mid-1970s. Did it deserve it? Perhaps. I found myself somewhat impressed by the production. The miniseries, from a visual point-of-view, has managed to hold up rather well in the past forty years. Aside from the exterior shots, the photography struck me as somewhat sharp and colorful, thanks to cinematographer Howard Schwartz . More importantly, director George Schaefer managed to avoid that “filmed play” aspect that had tainted many British television productions and a few American productions. Somewhat. There were a few scenes that seemed to stretch a tad too long in “LINCOLN”, but not fortunately long enough to stretch my patience too thin. A part of me wishes that “LINCOLN” had included more scenes of Lincoln’s life before the Civil War. 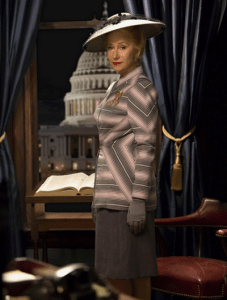 The 1974-76 miniseries must be the first of three productions titled “LINCOLN” – the other two being the 1988 miniseries and the 2012 Steven Spielberg movie – that seemed to be about Lincoln’s years in the White House. Another aspect of this miniseries that I found a bit odd is that it did not feature any African-American characters, other than the occasional extra portraying a White House servant. I think. There is a chance that my memory might be playing tricks with me. I simply find it odd that a production about a U.S. president who had such a strong impact on the history of African-Americans . . . did not feature any black supporting characters. No Elizabeth Keckley, the Washington D.C. seamstress who became Mrs. Lincoln’s personal modiste and close companion, or Frederick Douglass, who had met Lincoln in 1863. Considering Lincoln’s overly cautious approach on the subjects of abolition and civil rights, there is a chance that producer David Wolper feared that Lincoln’s reputation as an emancipator would have slightly eroded. It was okay to discuss slavery, which the production did . . . but not with any real depth. The miniseries certainly did not hesitate to display Lincoln’s ruthlessness and talent for political manipulation. Even when those traits were occasionally clouded by compassion, humor and verbosity, it was on display. This was especially apparent in two episodes – namely “Sad Figure, Laughing”, in which Lincoln had to deal with the political machinations of Salmon Chase for the Republican nomination for President in 1864; and in “The Unwilling Warrior”, in which he dealt with one general after another in his search for the one military leader who could deal with the Army of Northern Virginia and Robert E. Lee. The best aspect of “LINCOLN” were the performances. Well . . . some of the performances. I hate to say this, but some of the minor performances struck me as a bit theatrical or amateurish. There were some performances that struck me as solid – including Norman Burton as General Ulysses S. Grant, Robert Foxworth as John T. Stuart, Lloyd Nolan asSecretary of State William H. Seward, Ed Flanders as General George B. McClellan, and Catherine Burns as Mary Owens. But there were those performances that I found impressive. This especially seemed to be the case for Roy Poole as Secretary of Treasury Salmon P. Chase, Elizabeth Ashley as the latter’s older daughter Kate Chase Sprague, Beulah Bondi as Lincoln’s stepmother Sarah Bush Lincoln, John Randolph as the first Secretary of War Simon Cameron and James Carroll Jordan as the Lincolns’ oldest son Robert Todd Lincoln. But the two performances that outshone the others came from Hal Holbrook and Sada Thompson as the presidential couple, Abraham and Mary Todd Lincoln. This is not really surprising. Of the three productions I have seen about Lincoln, the actors and actresses who have portrayed this couple have all given superb performances. This was the case for both Holbrook and Thompson. Holbrook seemed to have some special connection to the 16th president. The 1974-76 miniseries marked the first time he portrayed the role. He also portrayed Lincoln in the 1985 miniseries, “NORTH AND SOUTH: BOOK II” and he appeared in the 2012 Steven Spielberg movie as an old political crony of the President’s,Francis P. Blair. Holbrook’s portrayal of Lincoln could have easily strayed into the realm of folksy idealism. The actor did not completely reveal the more negative aspects of Lincoln’s character, but he did a superb job in conveying not only the President’s style of humor, but also his political savvy and a temper that can be fearsome. In an odd way, Sada Thompson had the easier job portraying First Lady Mary Todd Lincoln. Hollywood productions are more inclined to explore the more negative aspects of her personality than Lincoln’s. What I enjoyed about Thompson’s performance is that she still managed to make Mrs. Lincoln a likable person, despite the character flaws. It is not surprising that Holbrook won an Emmy for his performance and Thompson earned a nomination. Both of them deserved the accolades. There are aspects of “LINCOLN” that I found questionable. Well . 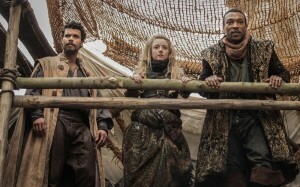 . . my main problem is that the production did not focus enough on the question of slavery, which I found rather odd, considering the subject matter. I also wish that the miniseries had included more scenes of Abraham Lincoln’s life before the Civil War. Now some television viewers might find the scattered narrative somewhat disconcerting. I simply figured out the chronological order of the episodes and watched them in that manner. But overall, “LINCOLN” is a first-rate miniseries about the 16th President that holds up rather well, thanks to George Schaefer’s direction and a skillful cast led by the talented Hal Holbrook and Sada Thompson.